It’s not all about the white stuff up here in Whistler, it’s also about the greens. 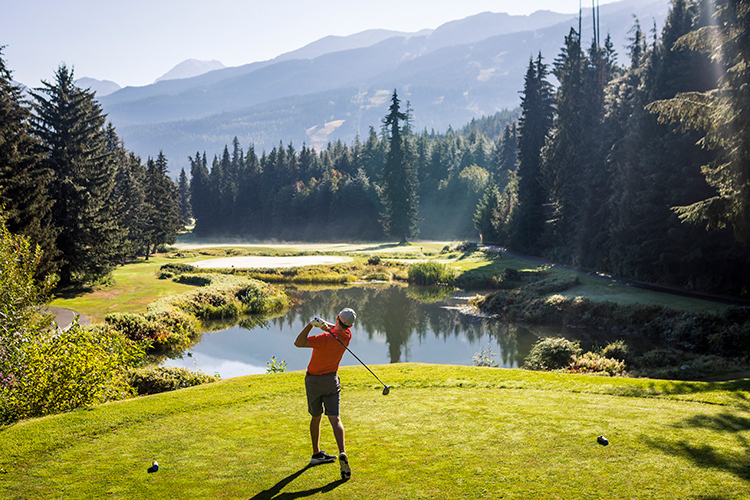 With comfortable temperatures, 360-degree mountain views and four championship courses to choose from, it’s no wonder golfers have voted Whistler Canada’s #1 Golf Destination. 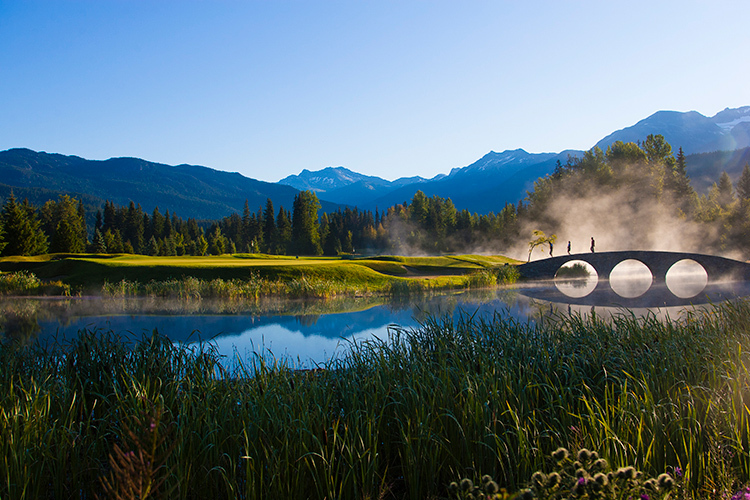 Whistler is home to four world-class, designer golf courses. Jack Nicklaus, Arnold Palmer, Robert Cupp and Robert Trent Jones Jr. have all put their names on our courses, each with their own unique features and landscapes. Ask any local golfer what their favourite golf course is and there’s a very good chance you’ll hear four different answers. 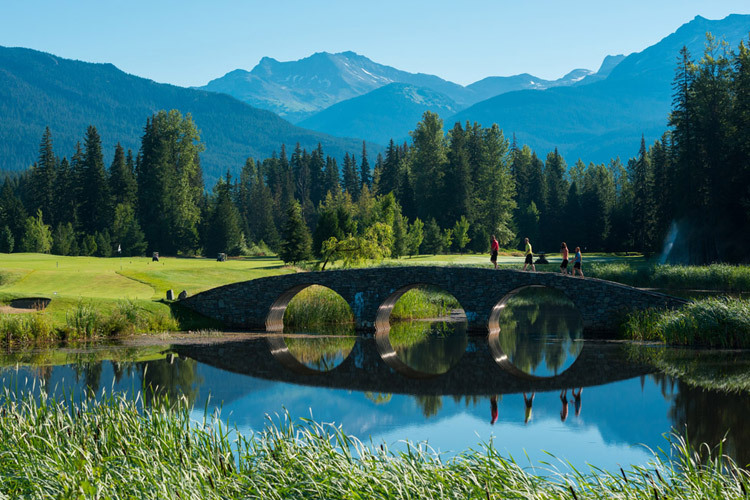 From true mountain golf to a bombers’ paradise, each of Whistler’s four award-winning golf courses has something different to offer. Table Nineteen Lakeside Eatery boasts views of the floatplane dock, Green Lake and Rainbow Mountain. Not a bad background for enjoying your favourite cocktail. The course challenges golfers with beautifully firm and undulating green complexes. Always be sure to have a look at the pin placement before hitting your approach shot and account for a considerable amount of release on these flawless greens! 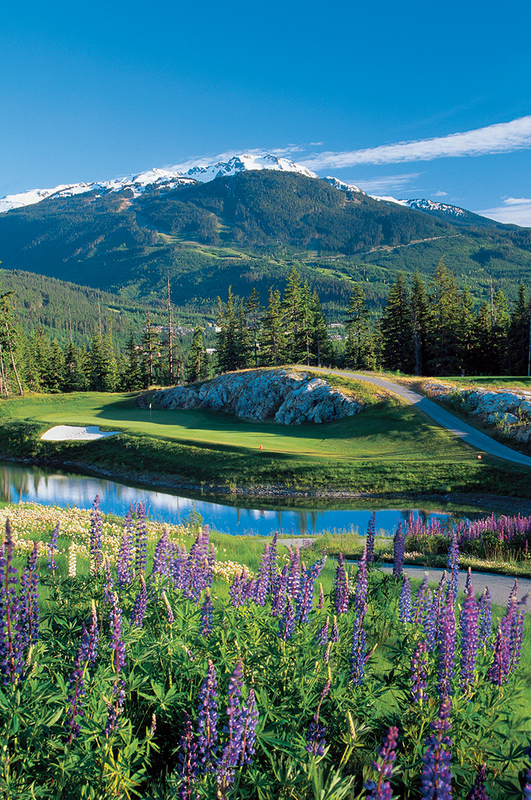 The golfing season in Whistler stretches from early May to mid-October. 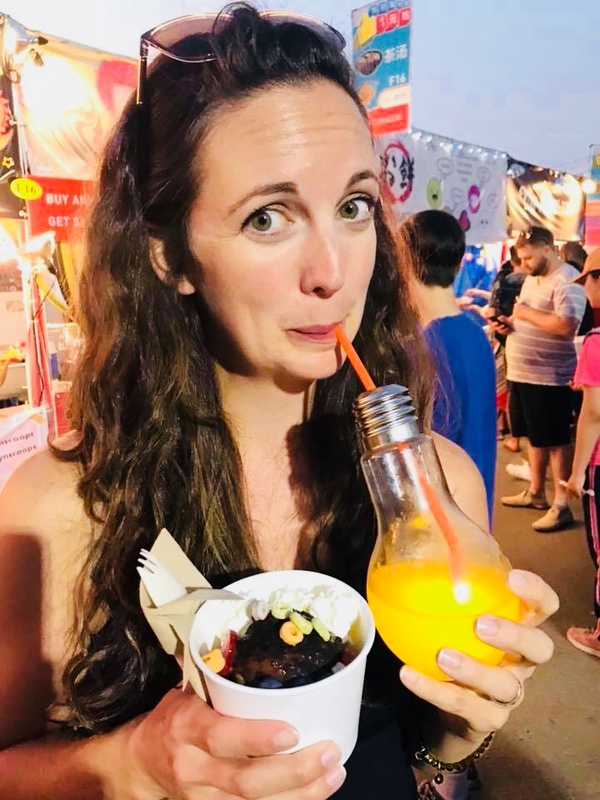 There are deals to be found on either side of the peak season, but if the summer months are what you crave then it’s worth noting that our average temperature is 22° Celsius (72° Fahrenheit) — not too hot, not too cold. If you’re looking for the cooler temps, early morning when the mist is rising is a good time and so is the evening when the mountain shadows provide shade from the sun. There’s also something to be said for the views. 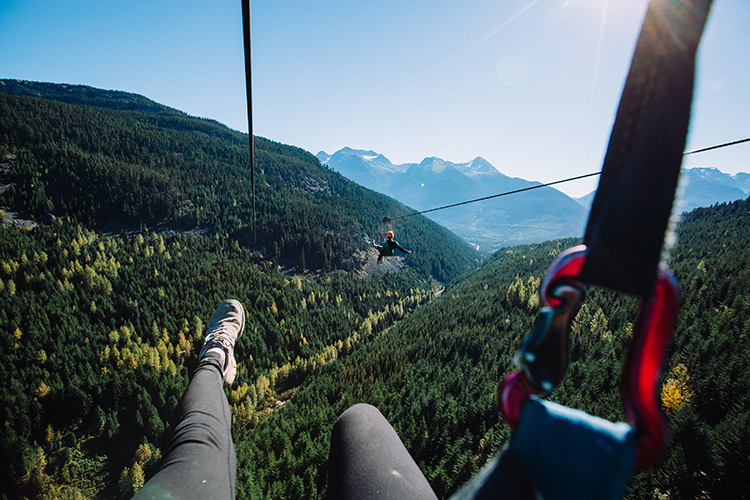 Given our mountain locale, you’re surrounded by towering peaks; lush, green old-growth forest and wildflowers; glistening alpine lakes and mountain streams. You might even see some of our famous wildlife, the bears love a good game of golf. Early booking offers are valid until April 30, 2019 and you’ll be able to save on Stay and Play Golf Packages throughout the season (these start at $149 CAD / $112 USD), but that’s not the end of the savings. If an early May or late September golf getaway fits your schedule, or if you don’t mind a late afternoon round, you can save up to 25% on greens fees. The courses also offer juniors the chance to play for free, which makes it even more affordable if you’re bringing the family with you. For larger groups (12 or more), the Whistler.com group sales golf specialists are the people to talk to, they can get you the best rates available during your trip. 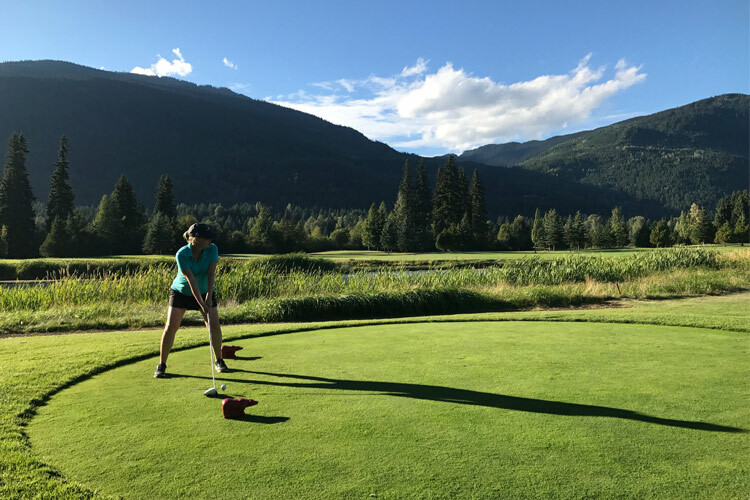 From 5:30 PM onwards at The Whistler Golf Club, golfers can play holes one through five for only $25 per player (rental clubs and power carts are extra). Casual golfers can experience the fantastic greens and scenery at Big Sky Golf Club on their 5–hole Par 3 golf course. It’s only $10 for adults and $5 for children at any time throughout the season. 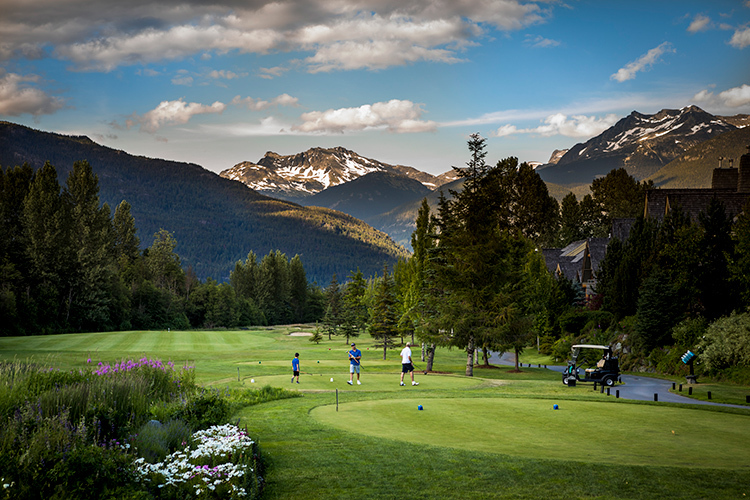 The Fairmont Chateau Whistler, Nicklaus North and Whistler Golf Club all offer free green fees to players aged 16 and under (when accompanied by a paying adult). At the Fairmont Chateau Whistler and Nicklaus North, this offer is in effect after 1 PM every weekday, and at the Whistler Golf Club it’s in effect all day throughout the week and after 3 PM on weekends. Tailored lesson package options are available for the new to the experienced and competitive golfer. Remember – you can always get better! The extremely popular Men’s Only Clinic and Ladies Only Clinic will return for the 2019 season. These packages include five lessons, five dinners and four green fees valid after 4 PM, all for under $300. Spots fill up fast so it’s best to sign up early! As part of the collective initiative by each of the golf courses to grow the game we love, Nick North offers a Men’s Night and a Ladies Night throughout the golf season. This gives participants an opportunity to socialize and golf in a friendly environment. Starting at $95, nine and 18 hole options are available with dinner and a chance to win prizes included. 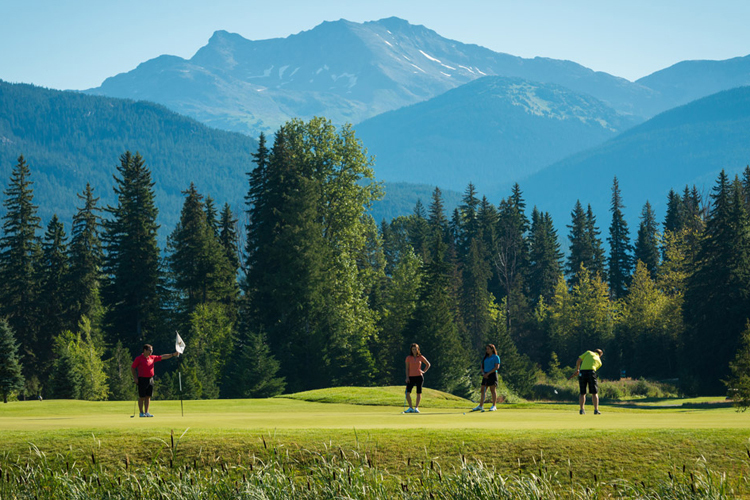 Whether you’re looking for lake views, mountain views, golf course views or all of the above, the clubhouse patios at each of the four golf courses provide a perfect atmosphere for enjoying delicious, freshly prepared meals from Whistler’s top chefs. The Sea to Sky Corridor is known for its fantastic microbreweries and the golf courses are happy to offer their tasty products. Delicious wines from British Columbia’s Okanagan Valley are also on offer. Pair your game with a laid-back, picturesque dining experience and you’ve got a day on the links to remember! 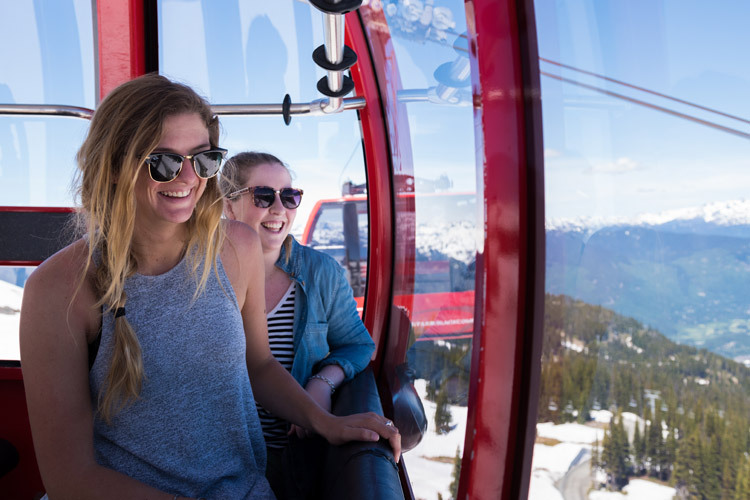 Whether you’ve wrapped up your day on the greens or you’re looking to explore what else Whistler has to offer, there are plenty of activities to take advantage of. From ziplining or sightseeing on the PEAK 2 PEAK Gondola to fishing, you might want to add a day or two to your golf trip to do it all. 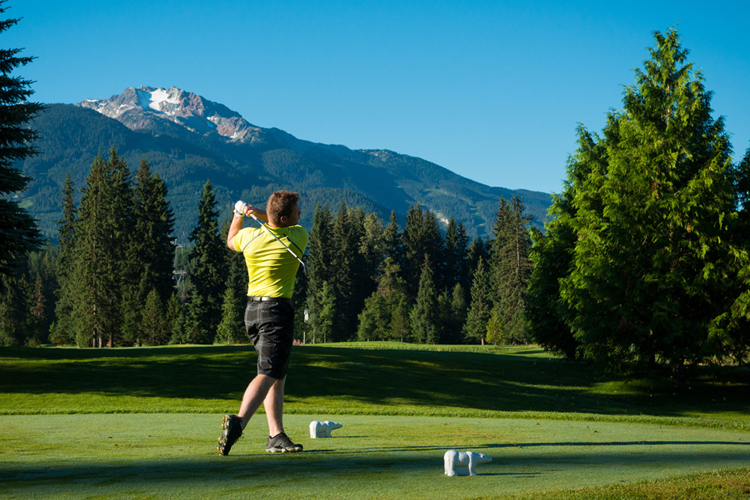 The three golf courses in Whistler can be found within a 2–kilometre (1.25 mile) radius of each other, with Big Sky Golf Club located a beautiful 30–kilometre (19-mile) drive up the Sea to Sky Highway, making it easy to enjoy all four while you’re in Whistler. 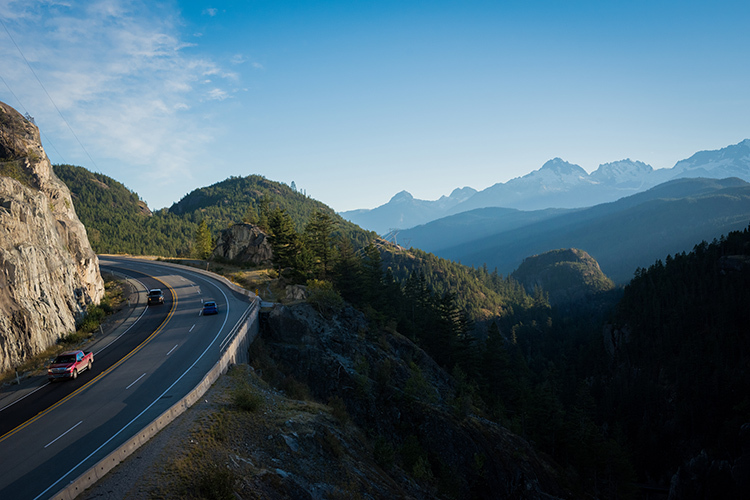 The journey from Vancouver International Airport is 1.5 – 2 hours and is one of the most scenic drives in the world. 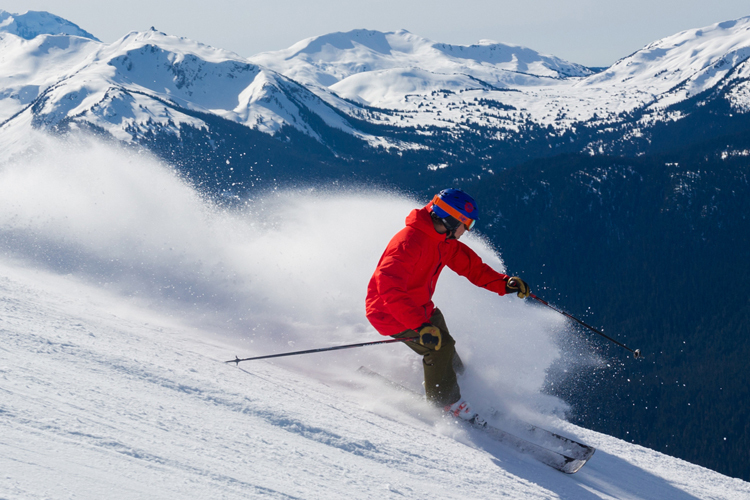 With flights from San Francisco and Los Angeles coming in at under three hours and flights from Toronto and Dallas just over four, Whistler should definitely be on your golfing radar. 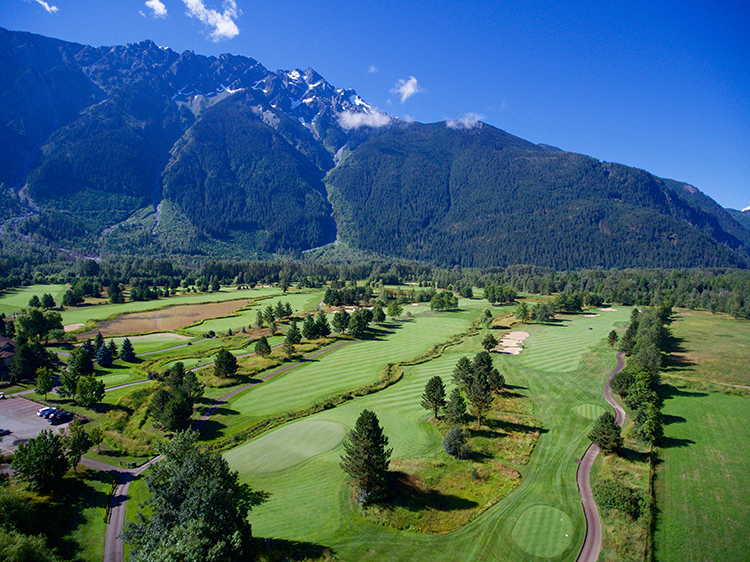 For more help booking your golf trip to Whistler, contact the Whistler.com golf-specialist team to plan your mountain golf getaway of a lifetime.